Lee Meller has been appointed regional director of MICE, tour and travel for the Sheraton Vancouver Wall Centre and the Westin Wall Centre, Vancouver Airport. Meller’s career developed out of his love for travel and skiing. Born in Bognor Regis, England, he entered the industry with a job in operations and customer service for a UK-based ski tour operator. In this role, he traveled and made connections at ski resorts around the world. In 2008, Meller settled in Whistler, British Columbia and started working with the Westin Whistler Resort & Spa. 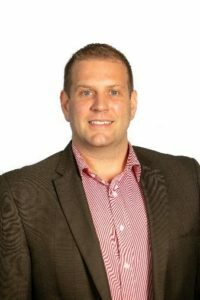 Over the last decade, he has demonstrated exceptional knowledge and experience in his role as international leisure sales manager for the property. Meller says the combination of the ocean and mountains make Vancouver a special city to live in and to visit. In his off-hours, he likes to spend time outdoors with his young family. He enjoys mountain biking, skiing, tackling the Grouse Grind or kayaking in peaceful Deep Cove. He can be reached at 604-893-7295 or lmeller@wallcentre.com. The Sheraton Vancouver Wall Centre sits in the heart of Vancouver and is the city’s largest hotel. It recently underwent more than $55 million in renovations. The Westin Wall Centre Vancouver Airport opened in Richmond in time for the 2010 Olympics. It has 188 rooms and more than 8,000 square feet of meeting space.